Recently social media went berserk because one loudmouth Christian complained about Startbucks and the color of their holiday cups. You all know what I’m talking about, so there’s no need — or desire on my part — to rehash the gory details (I’m not even gonna add a link). It seemed as though everyone, whether left or right on the political spectrum, felt compelled to weigh in. I missed the viral sensation when it first happened, because I was — ironically — at the Statue of Liberty and Ellis Island for the day (stay tuned for that post). Frankly, I’m glad I missed it! Then Paris happened. In a coordinated series of attacks, more than 100 people were killed and many more injured, some critically. In a show of solidarity, many people altered their Facebook profiles with the colors of the French flag. I have no issue with this. It’s a nice gesture. The problem is, our brains trick us into thinking we’re doing something…and people are getting blasted if they don’t change their profile. Others are belittled for reminding us that there have been other attacks in other cities this year. It’s all noise. Personal attacks on social media, sometimes destroying relationships between families and friends. Pundits shouting at each other on television. Arguments and name-calling in comments that follow news articles. Finger pointing everywhere…and we cannot seem to turn away. Writer friends, shortly after the attacks, announced they were having trouble writing because of all the pain in the world. Yet from the beginning of time, the world has been a messy place. Nowhere in human history have we lived without war, poverty, disease, and more. Classism, sexism, and racism are nothing new. The problem with technology is, we see all the world’s ills 24/7. Social media, in particular, keeps us in a heightened state of anxiety…which solves nothing. We need to figure out how to limit our time on it. I’m all for learning what’s going on in the world, but wringing our hands over someone’s latest Facebook post doesn’t help anyone. Put the pain, the anguish, the fear into your stories. This is the time to write more, not less. I’m tired of rants about coffee cups. There are better things to do with our time. Read a book — or write one. Get outside. Have a face-to-face conversation with a friend. Make a contribution to a worthy aid organization. Let’s find a way to liberate ourselves from the noise. Happy Thanksgiving to all! I hope you have a great holiday. I’ll be entertaining family, so this is my last post for the week. I hope to see you again next week! 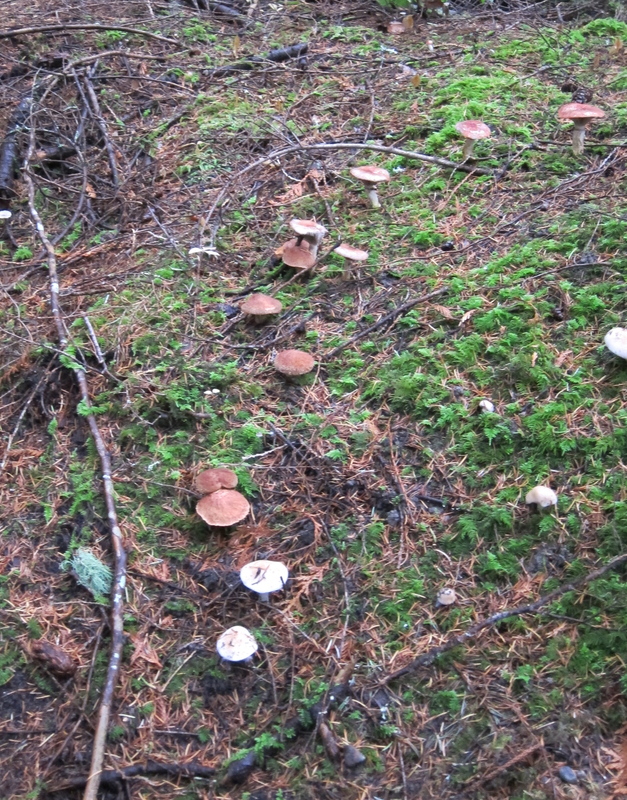 A group of us wandered in the woods in the rain, empty egg cartons and mesh bags in hand, looking for mushrooms. Our guide, Caroline, had covered a picnic table with many local varieties with a variety of taste and, of course, safety levels. This was my first adventure as a forager, and my first thought was: I am totally overwhelmed. Social media has been like that for me, too, and from what I’ve heard from several of you, you feel the same. If we’re writing books and/or blogs, it’s hard to manage our time to get it all done. We’re supposed to create content, read and comment on other blogs, and otherwise engage, engage, engage with others. It can be exhausting. Believe me, I know. We trekked carefully, eyes trained on the ground. People peered under leaves and near trees. I struggled to see anything, and once found myself standing next to a fallen tree, surrounded my mushrooms, that I couldn’t see until someone pointed out to me that they were all around me! As we spread out, I looked down and saw a mushroom at my feet, which I picked and showed it to Caroline. “That’s Hideous Gomphidius!” she announced. I was crestfallen. That didn’t sound good to me! Turns out, though, that she had brought along a cooked version of it and its cousin, the Rosy Gomphidius, for us to sample. She cautioned us that some people don’t like it, but I thought it was tasty. I had found my mushroom! From then on, I saw them everywhere, and picked several to bring home. If we look at all of social media, we will get overwhelmed and see nothing. I tried Triberr, and that drove me crazy. Pinterest scares me. Yet I know people who swear by both of them. Your best bet is to try something and see if it feels okay to you. 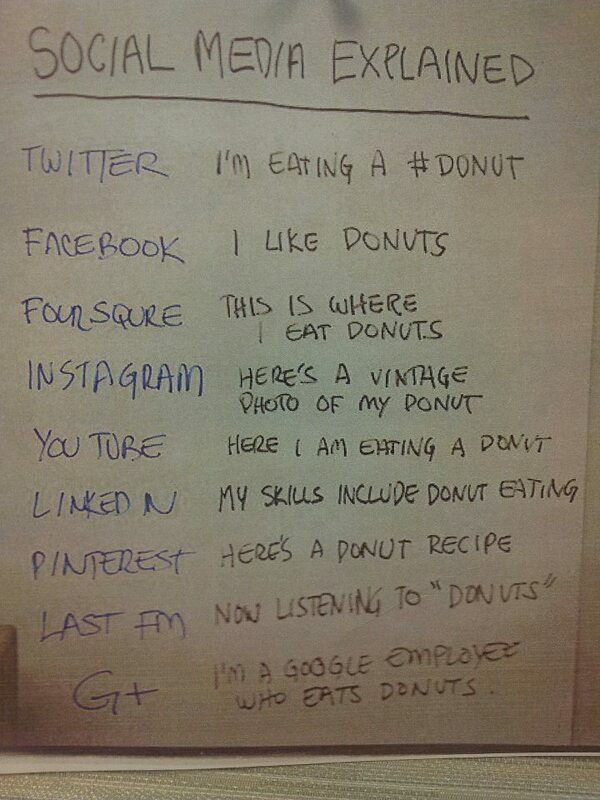 I stick with Facebook and Twitter. I’m getting into Goodreads and Shelfari, mainly because I am looking for readers who might be interested in my books. Other than that, I leave the rest alone. We can be efficient, too. Yes, we’re supposed to read and comment on others’ blogs, but we don’t have to do that with EVERYONE. I routinely comment on a few blogs that I genuinely enjoy, but I also seek out blogs where my comments might get read by my desired audience. I’m also experimenting with registering my blogs on other Triberr-like sites to expand readership, but we’ll see if that’s effective! 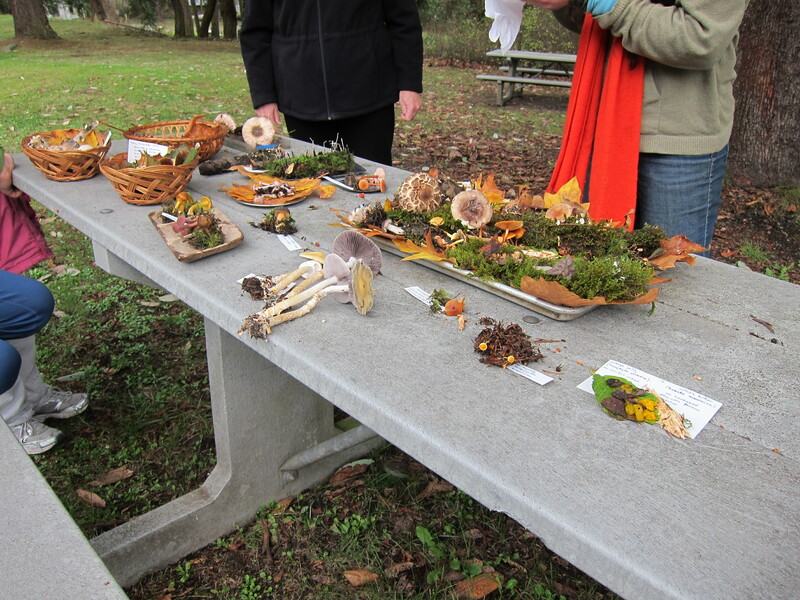 After a few hours, we had lots of samples in hand of mushrooms, some tasty and some not, some poisonous and some not. I realized that I couldn’t learn all the mushrooms in a day; many of us had different varieties, and some look very different when they’re young from when they mature. It will take many more visits to scratch the surface of mushrooms. According to Caroline, even experts are often stumped by what they see, and some varieties have yet to appear in a field guide. It takes time and patience. It also takes time and patience to build a blog audience. If we get impatient, we may find ourselves spending way too much time on social media, trying to get something to work. Part of dancing with social media is knowing when to quit. We can get sucked in and spend the entire day there, yet see little for our efforts. If you’re testing the waters with Twitter, start with ten minutes a day. Find a few tweets to retweet. Post a few tweets of your own. Find one or two people to reply to. THEN STOP. Later, as you get comfortable, you may want to find some tweet automation service (like Tweetdeck or Tweet Adder) to help you manage your time by posting tweets throughout the day. This doesn’t take the place of getting hands on with Twitter, but it can enhance your presence and leverage your time. When I post my blog, I can post it to my Facebook page as well, which then sends out an automated tweet. The more you learn social media, the more you can connect the various formats to keep your time investment low. Author C. J. Lyons says that the best way to market your books is to write more books. She suggests that if we’re having trouble finding time to write our books, we should blog a little less! It sounds counter-intuitive, but C. J. is a successful author, both in traditional and self-publishing arenas, so she’s worth listening to. Less is more. Take a breath. Relax. Had I not gone out with a guide and a group of people, I wouldn’t have seen most of the mushrooms I saw that day. Having the kind, knowledgeable attention of a guide made all the difference. Now I can go out by myself and experiment, but even then I’ll need a good field guide, and Caroline has made herself available if we want to send her photos of a find. I also know now that when trying a new variety, I need to take it in small quantities; even a non-poisonous mushroom can upset a sensitive stomach, and mushroom eating can be a surprisingly individual experience. Your best bet for using social media well is to follow the experts. I’ve written in the past about Kristin Lamb, Joel Friedlander, and Joanna Penn, but I’ve also recently run across Joan Stewart of The Publicity Hound, who provides a lot of helpful information. You can also follow someone who is successful at whatever you want to do and study how they share information on social media. Again, you can get overwhelmed by the many voices offering their advice and opinions. Find a couple whose ideas speak to you, and leave the rest alone. Which leads me to a final thought: If you read this blog, I know you’re a busy person with a lot to do. Thanks for making the choice to visit. I try to create a lot of content not to overload you, but to give you options. Some people like my book and blog recommendations, while others like my feature posts. Still others beg for photos. Feel free to pick and choose what works for YOU. Normally I don’t recommend blogs that pertain specifically to writers, because not everyone who reads my blog is a writer. However, many of you are, so a good one is worth mentioning now and then. Recently I enrolled in Joel Friedlander’s Self-Publishing Roadmap, and as part of the package he included several bonuses, one of which was Joanna Penn speaking about marketing novels. I’ve been following Penn on Twitter for a while, but it wasn’t until I heard her webinar that I became a true-blue fan. In less than 90 minutes she boggled my mind with her generosity and spirit. Through a combination of free and paid information, she provides expertise on navigating through new media. In addition, she writes novels, so she knows the challenges of marketing fiction successfully. Many of the experts I’ve run across online are great at nonfiction but provide little help for me, so Joanna is a great find. Not only is her advice useful and specific, but she is also one of these chirpy, cheerful sorts that lets me know that I can fix my mistakes. I made some rookie errors with the production of The Foreign Language of Friends, even though it’s the third book I’ve produced. It was the first one, however, in this brave new world of e-publishing, and there are things I would do differently. Is it too late to relaunch a book, I wondered? Never, Penn says. Unlike traditional published books, self-publishers can relaunch a book at any time, even years down the road. I busily scribbled notes and now have a plan for going forward — and a plan for setting up new work for the future. Penn also has a regular podcast that I’ve found helpful, too. I just have one question: when does she sleep? For those who aren’t interested in writing/publishing tips but want to go straight to fiction, Penn keeps a separate blog for fiction with the tagline “ancient mystery, modern thrill.” I’m looking forward to reading her books. In the meantime, she’s going to save me a lot of time, money, and heartache on my authoring, and she can do the same for you, too! This morning, as I sat down to look at blogs and create my own for the day, I couldn’t pull up the Internet. So, I got up to power cycle the router and decided to go ahead and shred some old tax returns while I was waiting. I went upstairs to shred and discovered that the shredder was full, so I had to get a box to hold all the confetti. Mondays are often like that, where I start out with the best intentions, but as one thing leads to another, I end up scratching my head wondering what happened. When hubby and I decided to start traveling, we didn’t know that one thing would lead to another. We hadn’t planned on leaving Houston. I’ve lived here for 30 years, hubby for longer. The more we saw the world, though, the more we asked ourselves where we want to live. Here we are, a few years later, planning a cross-country move. You may have noticed a change in the look and feel of this blog. Here, too, one thing leads to another. In my case, “A Woman’s Nest” didn’t exactly fit the daily goings-on of this blog. It sounds so nurturing, and there is that side of me, but I need to feel the freedom to express all parts of me. We women at midlife are less “nice” and more “real,” so I felt a little constricted. I’ve also mentioned being part of the Blooming Late group on She Writes. Last year I joined, then got involved in regular posting, then started making suggestions to our leader, Samantha Stacia. One thing leads to another, and now I’m handling the group’s administrative functions when she’s not available. We’re also working on a project so that we can better promote the many fine writers in the group, which led me to some research, which led me to fellow Texan Kristen Lamb‘s wonderful book, We Are Not Alone: The Writer’s Guide to Social Media…and then to these changes that you see. One thing leads to another…who knows what will happen next? I think that’s part of the fun, don’t you? Any “one thing leads to another” experiences that you want to share?